November is a difficult time of year to begin propagating as the majority of plants are in a state of dormancy waiting for the more optimum weather of spring. However if you are a committed grower and determined to grow whatever the weather then there a few vegetable and fruit species that you may wish to consider. Traditionally sown by the third day of November, broad bean ‘Aquadulce Claudia’ is universally recognised as being the best for an autumn sowing. 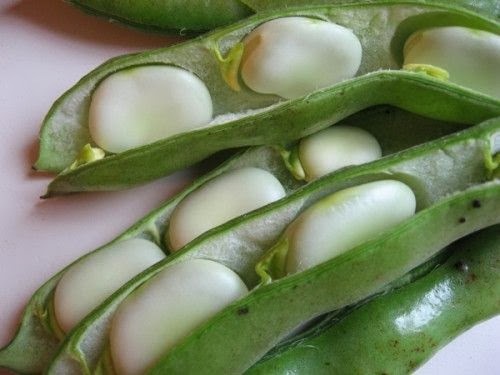 It establishes quickly and is able to produce a very early crop. In fact it actually needs the cold winter temperatures in order to perform so plant early in cool conditions and try not to sow any later than mid January as this will have a detrimental effect on both the quality and the quantity of the harvest. .Soak your seeds in water for an hour or so before sowing in double rows, 2 inches deep with each individual row 9 inches apart from each other. Should you require further sets of double rows then leave a distance of between 18-24 inches before you start your next line. If you are short of space then consider staggering your plantings to make the best use of the area. Remember that spacing shouldn't be compromised as good airflow is essential for combating fungal disease. The best time to plant currant bushes is during mid-November, just at the beginning of winter. However, they can be planted any time up until mid-March so long as the soil isn't water-logged or frozen. 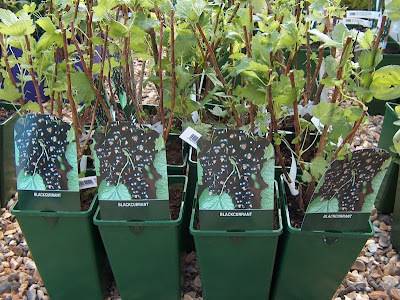 On English soils the blackcurrant is relatively easy to grow although they will do best on a slightly acidic, heavy clay loam situated in a sunny, sheltered site away from strong winds and late frosts. Preparation is - as always - important so before planting, dig over your soil adding plenty of well rotted farmyard manure. On lighter soils you may also wish to add leaf mould or any other organic matter as this will help to reduce its free draining properties and typical leaching of nutrients. Plants should be spaced about 6 ft apart, and dig a hole wide enough to take the roots without cramping them. 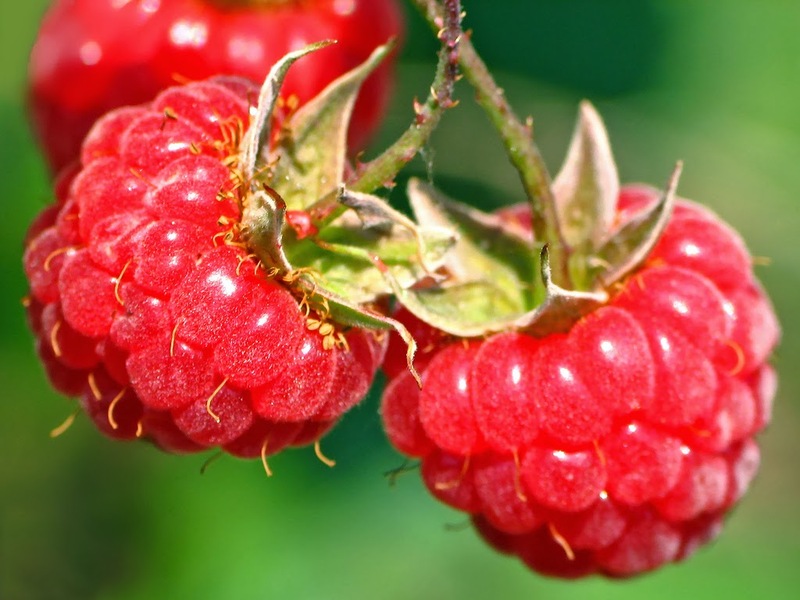 October is the best month to plant raspberries and loganberries, although planting can be done any time up to March if the weather and soil conditions are correct. 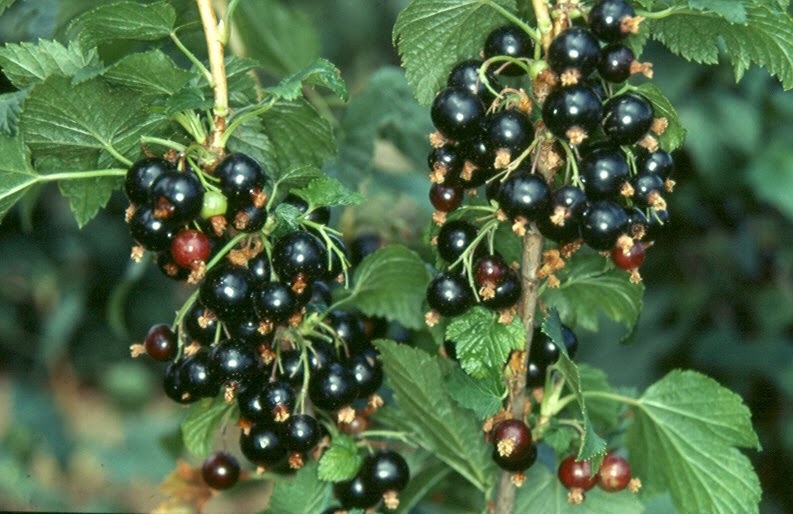 Most soils are suitable for these berrying plants, but a little preparation will pay rewards, especially because they will remain in the same position for 10 to 12 years. Dig a row 1 ft deep by 3 ft wide, working in as much well rotted compost as possible. Where more than one row is being planted, allow 5 ft between rows in order to let the roots spread freely and give room for you to harvest the crop in summer. Rhubarb plants are available all year round at some garden centres, although by far the best time to plant rhubarb is late autumn to early winter - December is a good month. 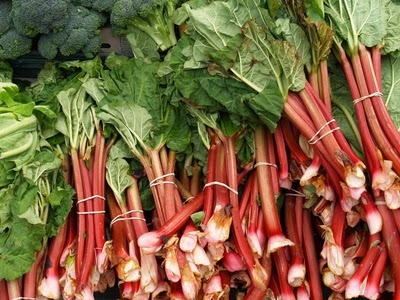 Tolerant of most soil conditions, rhubarb grows best in a neutral soil which has been dug to a depth of 2 ft or more. Incorporate as much organic matter as possible during the digging because it must last the life of the plant - rhubarb will not tolerate soil disturbance once established. The site should be prepared about 4 weeks in advance of planting to give it time to settle. Dig a hole a little bit wider than the plant. The depth should be such that the top of the plant is 1 inch below the soil surface (see the diagram on the left). Fill in around the plant with soil, gently firming it down to ensure no air pockets remain. Water well if the conditions are dry. Spread a mulch (garden compost or other well-rotted organic material) around the plants, but not directly above where the crown will emerge in a month or so. Three plants should be enough to meet most needs - the spacing between plants should be about 2ft 6 inches apart.